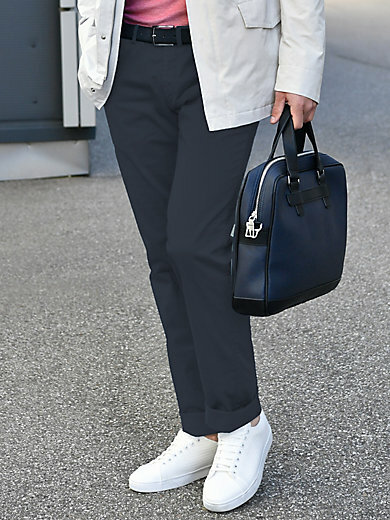 Trousers by HILTL – TERO: modern slender fit with a low waist and narrow thighs. Chic look made from sporty, pre-washed cotton twill offering stretch comfort. Flatfront design with 2 diagonally cut pockets at the front and 2 buttoned back pockets. 97% cotton, 3% elastane. Ankle width in size 50 approx. 36cm/14.5ins. The trousers are machine washable.